Americans have died for our right to decide who we want to be our leaders. Honor those individuals by taking the time to cast a ballot today — no matter who you choose to vote for. 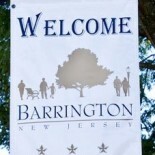 Click for Barrington voting information. This entry was posted on November 6, 2012 by Barrington Bulletin in Events, Region and tagged election, voting.